Like most social media celebrities in this digital era, WoahhVicky is one of those stars that have utilized the internet as a powerful tool to propel themselves to instant fame. The social media space such as Facebook, Twitter, YouTube, Instagram etc, offers lots of people the right opportunities and potentials to become superstars overnight. Some social media stars or influencers make millions annually, just by posting content online and they keep doing it for the gram despite the addiction complaints. 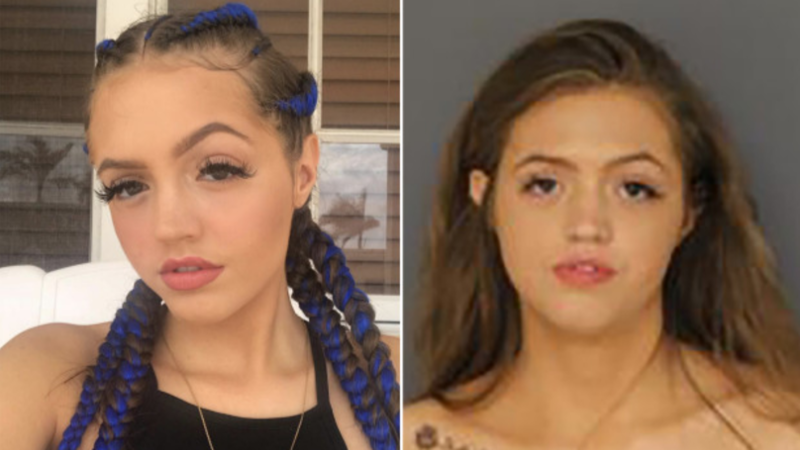 Victoria Waldrip popularly known by her internet alias WoahhVicky is a controversial Instagram sensation who rose to fame by claiming to be black. The Caucasian teenager who has a huge fan following on both Instagram and YouTube became famous after she publicly claimed that her DNA tests would prove she was black. According to Vicky’s controversial claim, her DNA test results posted from a genealogical and historical record website – Ancestry.com, allegedly reveals that she was 44% African American, despite her blonde hair and pale skin. 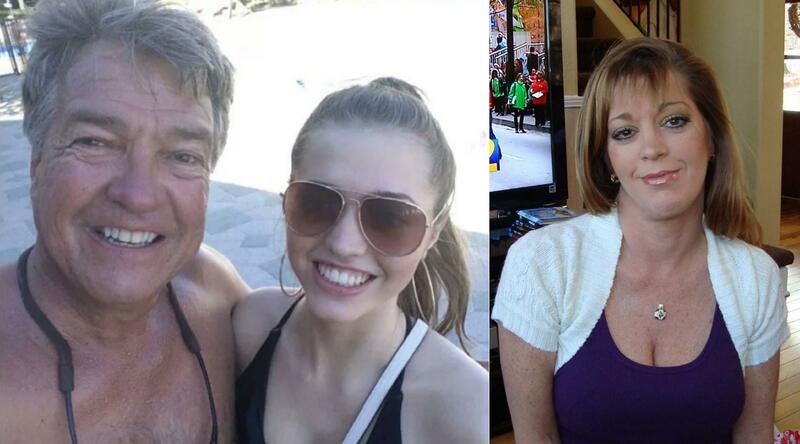 Born Victoria Waldrip on March 7, 2000, in Georgia, WoahhVicky is the daughter of Carla Johnson and Steve Waldrip both Caucasians, but she claims her black ethnicity is from her dad Steve, who never knew he was mix-raced. Also raised in Georgia, WoahhVicky attended John McEachern High School. It is reported that Victoria who believes school is useless dropped out of school due to poor grades but eventually obtained her high school diploma from Penn Foster High School, a private online distance education school. She now hopes to make a career in modeling and singing. Vicky’s father Steve is a successful real estate agent, who deals with building, restoring and renovating residential properties. She has a much older half-sister named Stephanie whom Vicky claims not to have a close relationship with her due to their age difference. Victoria claims she is from Zone 6 (a famous and dangerous neighborhood in Atlanta), but our sources reveal she actually comes from Buckhead, one of the more affluent parts of Atlanta which is unsurprising given that she is the daughter of a successful homebuilder. In a series of bizarre videos showing her appropriating African-American culture, WoahhVicky insists she is actually black prompting many to label her behavior as ‘racist’. A lot of her posts involve mimicking urban/black culture, using the N-word and wearing different garments, mouth grills and twerking. A natural dancer whose favorite dance style is – twerk, Victoria’s videos include different kinds of tutorials for her subscribers explaining her movements. She also posts YouTube makeup tutorial videos for black women, promotes products and offers for paid appearances. While the self-acclaimed ‘melanin queen’ seems confused about her race, the adamant black girl charade is obviously a selling point which has helped raise her status to that of a celebrity with over 126,000 subscribers on YouTube and 1.6 million followers on Instagram. Nonetheless, her followers seem fine playing along with her lines. But WoahhVicky recently came to terms with her true heritage – the realization that she is in fact not black but very much white. Vicky, who is considered famous with a huge fan base on both Instagram and YouTube had her Instagram account deleted after some racist controversies but her YouTube page is still up. She has since created another IG account with the handle imwoahvicky where she posts her pictures and videos. Asides the claim that she has ancestral connections with the black community, Victoria seems to love controversy. In February 2018, she was arrested for trespassing, resisting arrest and physically assaulting a law enforcement officer. According to police reports, after a disturbance at the Four Seasons Town Center Mall in Greensboro, North Carolina that sparked panic and fears of shots fired, Victoria was trespassing at the mall and given multiple opportunities to leave but she refused, resisted arrest, and allegedly kicked a police officer. Interestingly, her arrest summons confirmed that she is white. Again, WoahhVicky once posted a controversial racist music video on YouTube about Asian men titled ‘Ching Chong’. After being heavily criticized for the video which has been deleted, Victoria apologized for the act. WoahhVicky has also been embroiled in feuds with some of her fellow social media personalities including Danielle Bregoli aka Bhad Bhabie. Victoria insulted and criticized Bregoli for her alleged drug abuse, sexual behavior, and cosmetic implants. WoahhVicky is believed to have dated Papi JJ, a famous social media personality. In July 2017, Victoria claimed that she was pregnant with Papi JJ’s baby although he denied being the father. The duo reportedly broke up after Vicky accused Papi JJ of cheating on her with a 14-year-old celebrity.